One Fulton Square, is a mixed-use project set to be completed by the 3rd quarter of 2014. The project features a high-end hotel, a separate office condominium including 22 professional and medical offices, 43 luxury residential condominiums and 300 parking spaces. 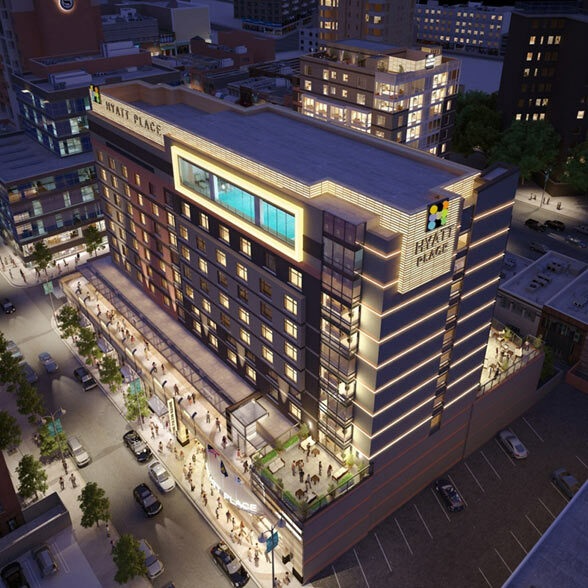 The 168 room Hyatt Place Hotel which is in the North Tower of One Fulton Square had their soft opening on May 29, 2014. One Fulton Square will play a key role in the growth and development of Downtown Flushing. The plaza of One Fulton Square provides a public space for local events and gatherings, bringing the community together through concerts, family activities, and cultural festivals, in addition to the expansive shopping experience that the retail spaces will provide.